Day 32 - A lazy bear is resting but eating at the same time, photographed at the Denver Zoo. 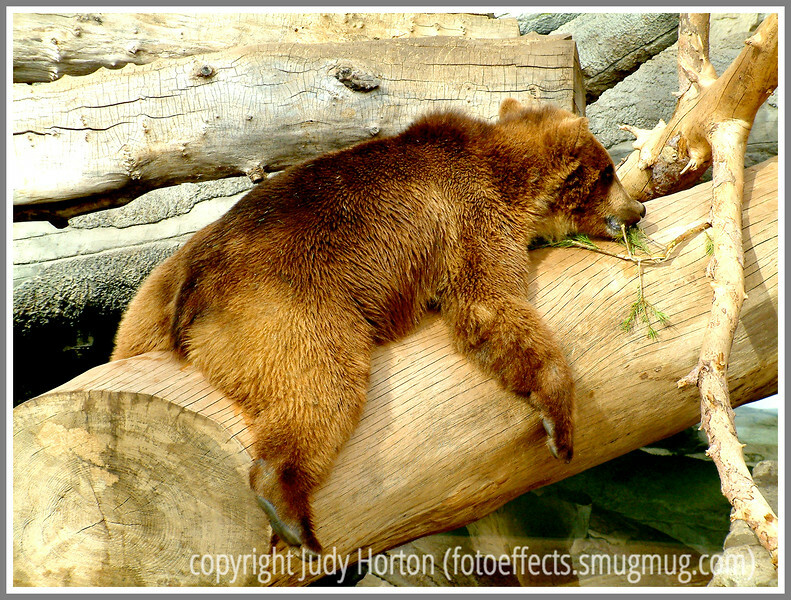 I really like the mood you captured, relaxed and perfectly content while resting on this log. Thanks for stopping by and as always, have a great day! Lol! Hilarious and great shot! LOL - I've felt that way a lot of hot afternoons. Great shot! That's just about how I feel this afternoon, lazy. Great shot. Looks like he's just plum tuckerd out! I still love this shot. I just noticed in the camera exif data that you were using a Fuji FinePix S602. That was my own first digital camera. I remember among other things its slow shutter response, making photographing any kind of action very problematic. My how things have changed in the world of digital camera technology!